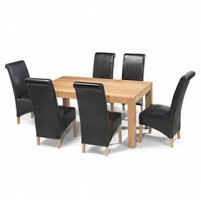 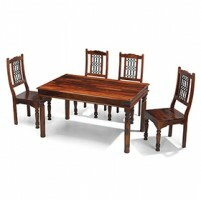 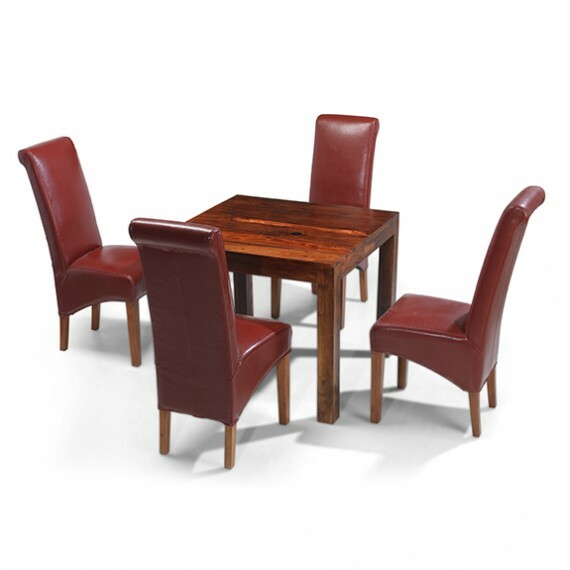 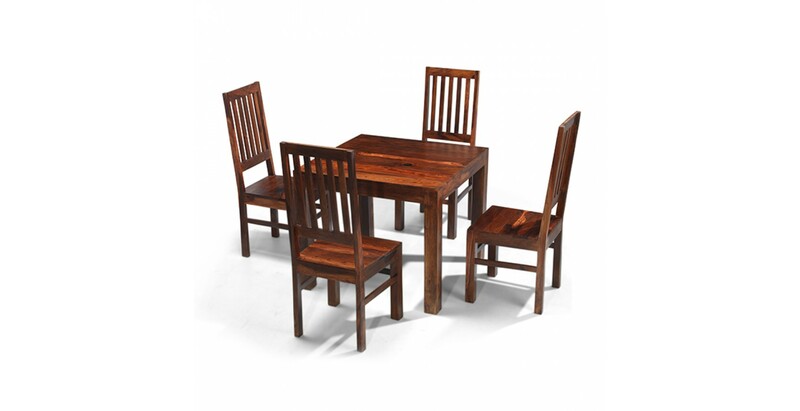 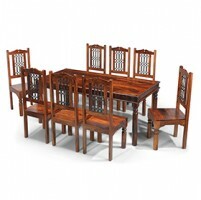 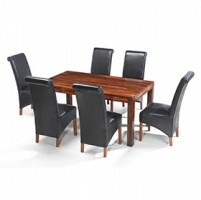 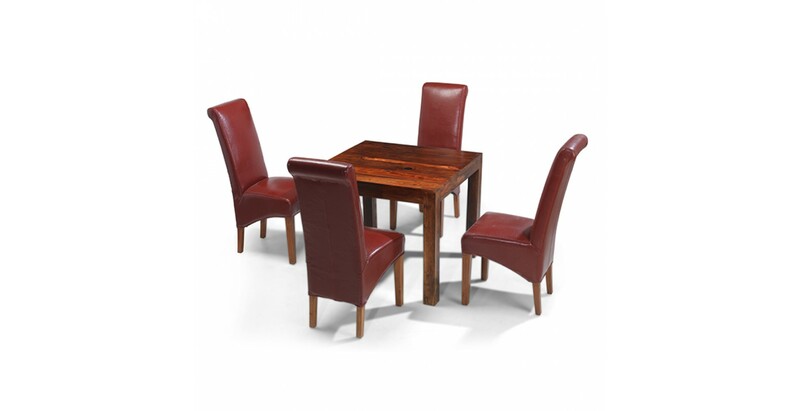 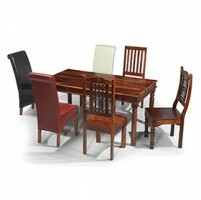 Sleek, contemporary lines meet rich rustic warmth in this impressive dining set. 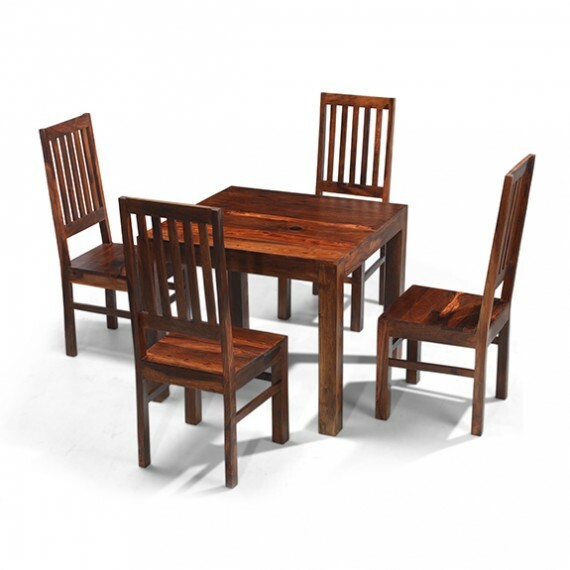 The simple square table is made by hand from sheesham wood and given a Wax Lacquer Finish that allows the unique grain patterns to be shown to at their visually appealing best. 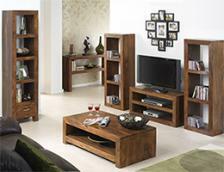 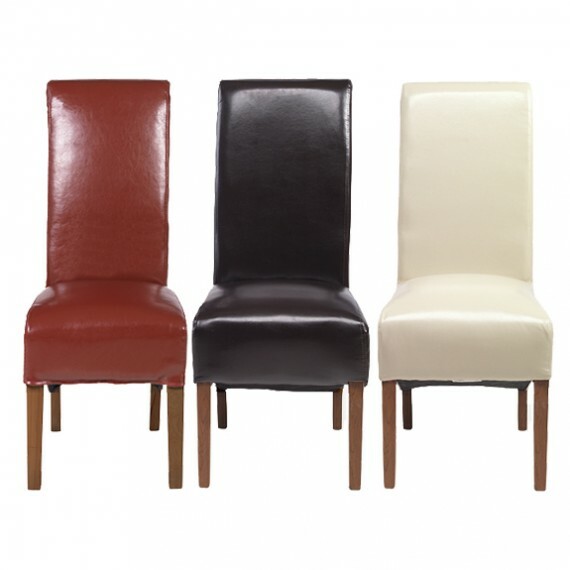 And to accompany it, you can choose from five options of chair so that you can tailor its look to your personal taste. 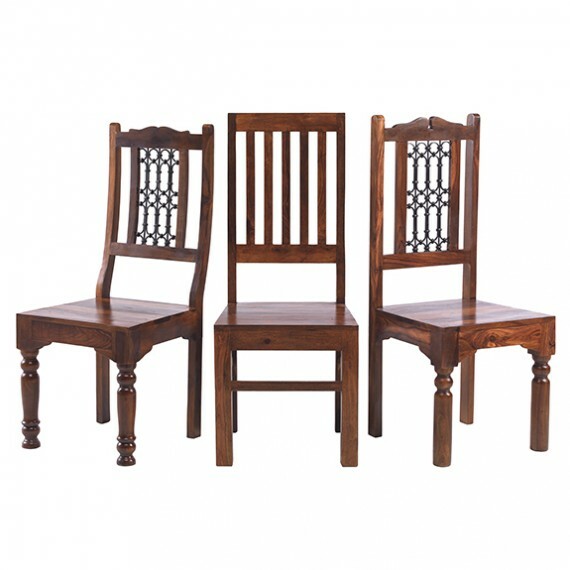 If you want to keep things simple, go for the High Back Slat Chairs. 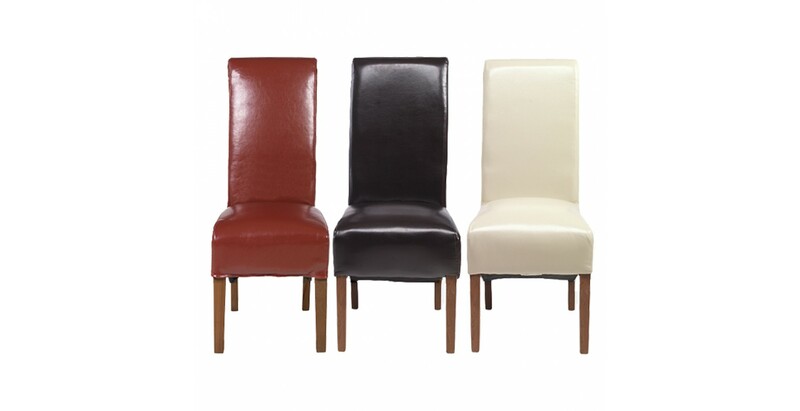 If you prefer a bit of colour with your comfort, our bonded leather chairs in red, beige or brown are the ones to choose. 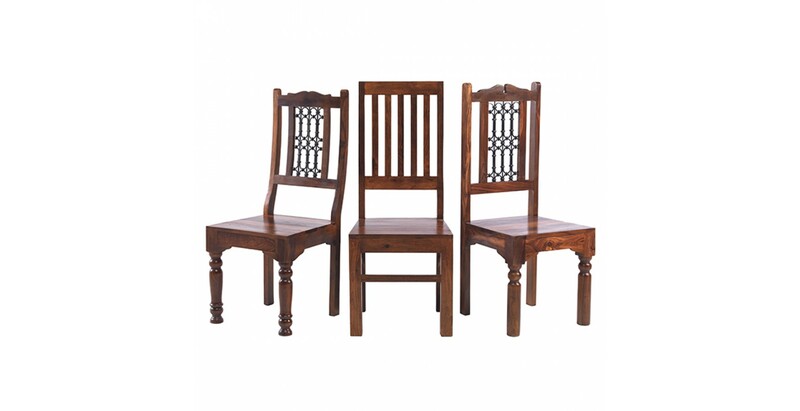 But if you want go for something a bit more decorative, then our Jali Sheesham High or Low Back Ironwork Chairs will do the job nicely.